LoneWolf Distillery is here to put the craftsmanship back into spirits. Creating its own pure base spirit from malted barley and malted wheat, bespoke brewer’s yeast and Scottish water. The distillery launched in 2015 and not only houses the world’s only triple bubble still but Europe’s tallest rectification column. LoneWolf Distillery is backed by Scotland’s largest independent brewery, BrewDog, and located in a corner of its brewery in Ellon, Aberdeenshire. 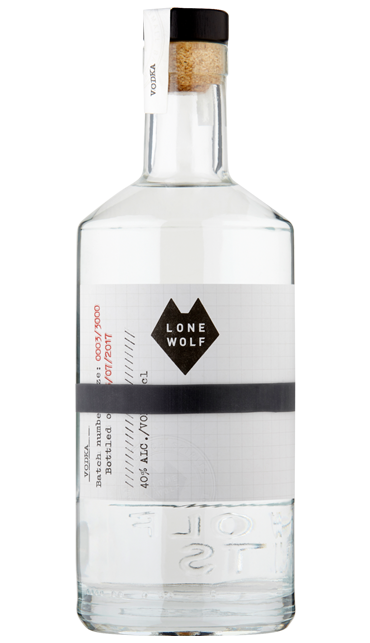 LoneWolf Gin is an uncompromising redefinition of twenty-first century gin. Resinous juniper and zesty citrus form the perfect backbone of this Gin. Lemongrass and Kaffir lime leaves supplement the fresh grapefruit and lemon peel which after a zest-filled start give way to delicate spice from the coriander, pink peppercorns and mace. Lavender arrives at the finish, bringing perfect floral sweetness and Scots pine needles help to embed the juniper until the very end. LoneWolf Vodka is purity personified. Filtered only once, leaving the true character of the spirit intact. The devil’s in the detail, and so is the taste. A crisp, smooth and self-assured vodka. Subtle sweet grain with vanilla is followed by just a hint of icing sugar. A velvety smooth mouthfeel precedes a warming finish.